Our organization and its many projects run largely on passion, creativity, and volunteer commitment, with financial support from sponsors, individuals, grants, and contracts. YOU can now make a donation of any size through our online portal. If you prefer to contribute a small amount or donate anonymously, this is the option for you! We welcome your donations and appreciate your support – no amount too large or small! Visit our DONORS PAGE to make your donation online. 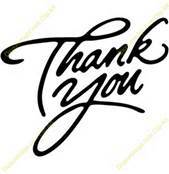 We appreciate your tax-deductible contribution! Save your Ballard Market receipts! Your Ballard Market receipts mean income for Sustainable Ballard! 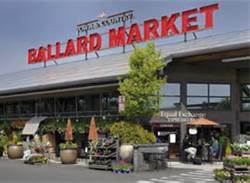 As a charitable organization registered with Ballard Market, Sustainable Ballard receives a donation of 1% of pre-tax subtotals from receipts we send in to them. Please save your receipts. You can bring them to any Sustainable Ballard event, drop them at the Ballard Tool Library during open hours (7549B – 15th Ave NW), or mail them to us at 2442 Market Street, PMB 286, Seattle 98107. This is EASY money, so keep those receipts coming! Ballard Market only. Thanks! Choose Sustainable Ballard as your favorite charity when you shop! You shop. Amazon gives. Amazon will donate 0.5% of the price of your eligible AmazonSmile purchases to Sustainable Ballard whenever you shop on AmazonSmile. AmazonSmile is the same Amazon you know. Same products, same prices, same service. But, without changing your shopping habits, you can now support Sustainable Ballard. Just go here and log into your Amazon account. Then each time you return, be sure to go to smile.amazon.com and part of your purchase price will be given to us. Easy, peasy, right? Are you a Fred Meyer shopper? Do you have a Rewards Card with them? If so, you can support Sustainable Ballard with your regular shopping! Fred Meyer donates $2.6 million each year to local schools, community organizations and nonprofits. All you have to do is link your Rewards card and scan it every time you shop at Fred Meyer. If you don’t have a Rewards Card, you can sign up for one at the Customer Service Desk of any Fred Meyer store. Follow this link, fill out the info, and voila! whenever you purchase tomatoes, a pair of shoes, a garden hose or a gallon of milk at Fred Meyer, you’ll support Sustainable Ballard! To find us on the form, enter our name — Sustainable Ballard — or our rewards identifier — # 91839. Thank you! If you would like to make a tax-deductible cash gift or donation of appreciated assets Sustainable Ballard, a 501(c)3 non-profit, can accept your gifts directly. Please directly contact a board member for details. Providing for Sustainable Ballard in your estate plans can be as simple as adding a codicil to your existing will. You can make a specific dollar amount or a percentage bequest, a residuary bequest, or a contingent bequest. This ideally requires advance consultation with your financial planner and/or attorney. If you have already made provisions for Sustainable Ballard in your will or another type of planned gift, please let us know. Unless you wish to remain anonymous, we will recognize your generosity and publish your name occasionally in newsletters, web pages, or festival program guides. If you are interested in learning more about cash gifts, donating appreciated assets, or future gifts by bequest please contact a board member at info@sustainableballard.org or (206) 701-7000. Disclaimer: Neither Sustainable Ballard nor its board or staff are qualified to offer financial, legal, or accounting advice. Please consult with your personal advisors in the process of considering these planned giving strategies. Your contribution helps fund new projects, community outreach and cover monthly costs for meeting space, storage and utilities. alternative energy B-Green Ballard Green Building Talks biking cisterns Climate Action Plan community composting festival food security gardening legislation neighborhood open house rain gardens RainWise recycling SCALLOPS social justice solar volunteering waste reduction workshops you!